I Found The Mythical Friend Zone. It's A Sonic Level. Guys. Guys. The friend zone is real, it exists. It's a Sonic level. I've made the joke of a friendzone-based Sonic level a million times before, but artist Jake Lawrence actually drew it out for me last night. Here it is. Sonic, Amy just doesn't like you like that, okay? It's cool though, you can just be friends. Nobody owes you romantic reciprocation, after all! 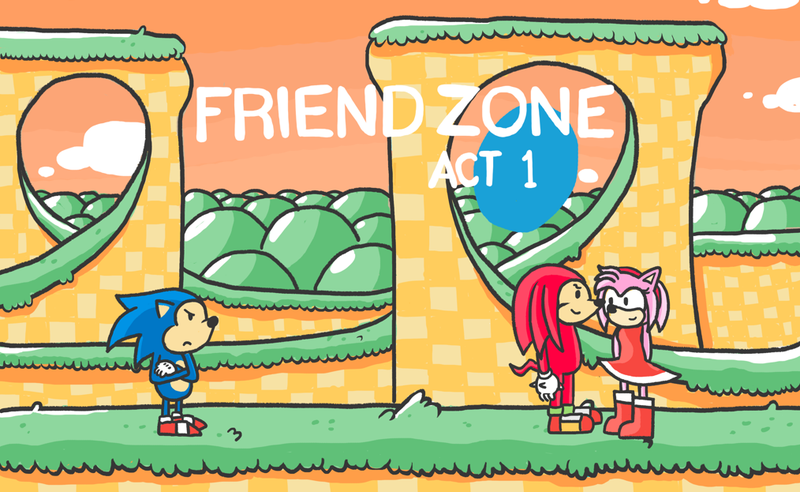 The funny thing is that it's probably more appropriate to say Sonic friendzones Amy in-game...but, then you'd be giving the idea credence.